If Zeno's paradoxes seem confusing, you're not alone. Zeno of Elea was a mathematician and philosopher in Ancient Greece that was born around 490 B.C. He developed paradoxes to try to argue against the great Greek philosophers at the time, but all he ended up doing was aggravating others with his absurd brain puzzles that seemingly contradict each other with their opposing facts and twisted logic. 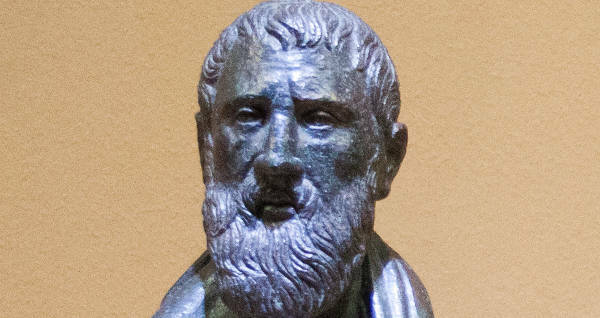 Zeno didn’t become as famous as Socrates, Aristotle, or Plato in terms of name recognition among current philosophical circles. However, his body of work makes you think nonetheless. Ten of Zeno’s paradoxes survive to the present day. 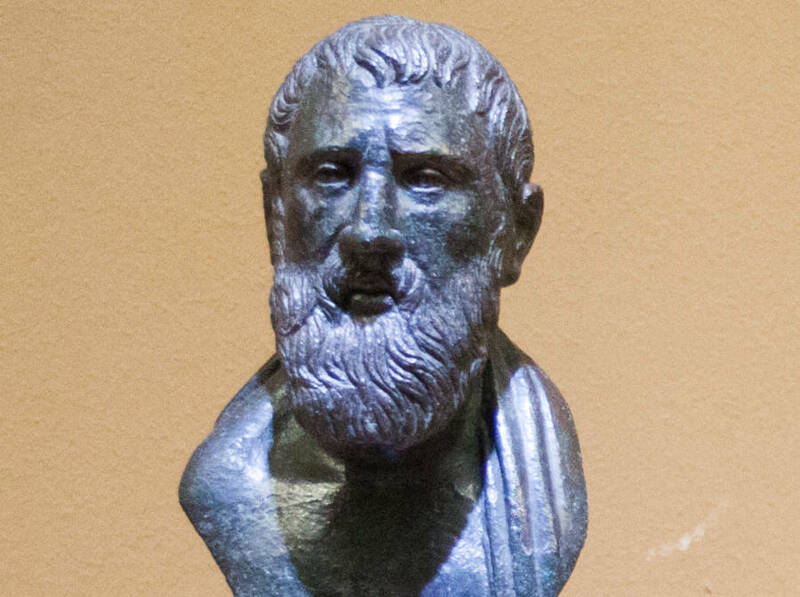 Take a look at three of his most famous ones to see if they perplex you as much as they did Zeno’s contemporaries. Wikimedia CommonsWould you beat this guy in a race? No, you wouldn’t according to Zeno the Greek Philosopher. Achilles and a tortoise agree to a race. The clever tortoise says that Achilles can only traverse intervals equal to the same distance that the tortoise flees upon reaching the point where the tortoise started. Both the tortoise and the Greek hero of The Iliad constantly stay in motion and move forward. Achilles agrees to the race and generously gives the tortoise a 30-foot head start, knowing that the super-fast runner should easily catch the slow-footed reptile. Who wins this race? Surely it’s Achilles the Greek demigod and hero of the Trojan War, right? As per the agreement, Achilles can only move the same distance that the tortoise moves once he reaches the reptile’s starting point. Supposed demigod runs at 10 mph and the tortoise moves at an incredibly fast (in turtle terms) 1 mph. 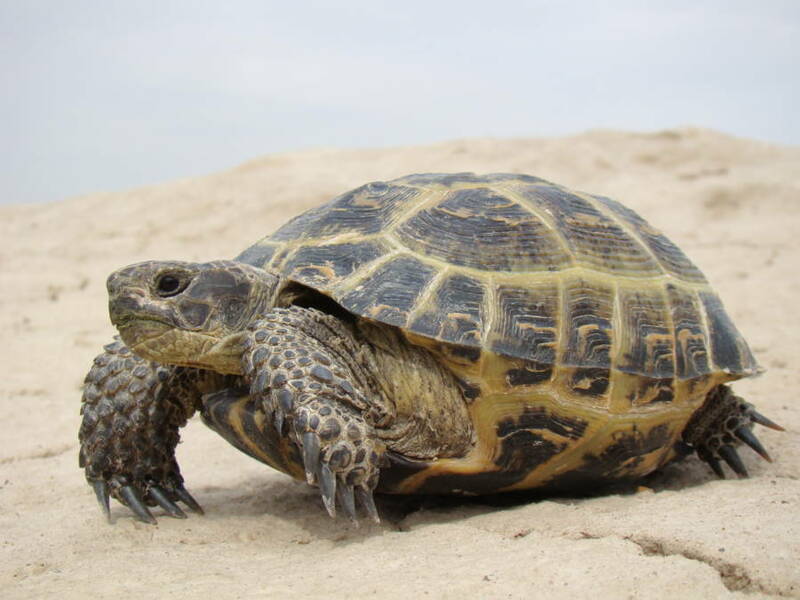 Achilles runs 30 feet in two seconds, which is the point where the tortoise started. In those two seconds, the tortoise moved three feet. After the first two seconds of the race, Achilles is just three feet from the tortoise. At this point, he now has to run the same interval the tortoise moved in those first two seconds. Running at 30 mph, Achilles traverses three feet in 0.2 seconds. In that 0.2 seconds, the tortoise moved 4 inches. During the next interval, Achilles is a mere 4 inches from the tortoise. The hero moves 4 inches in the blink of an eye, but the tortoise moved just a bit farther. You see, Achilles can never catch up to the slower runner because the tortoise always moves and the human can only move the distance that the tortoise moved the time before. The distance gets infinitesimally smaller each time, but Achilles never reaches the same point as his reptilian challenger. Wikimedia Commons If these guys only run half the distance to the goal each second, they never reach it. In this way, a faster runner never catches the slower one no matter how hard he tries. The tortoise is always one (albeit tiny) speck of distance ahead of Achilles. Zeno asserts that Achilles would never move once he reaches a certain point because no one can perceive him moving. Zeno put his Achilles versus the tortoise race in another way with his Dichotomy (breaking things down into two smaller parts) paradox. This paradox claimed that a runner would never reach his goal in a finite time if he has to run half the distance to the finish line for every interval of the race. Let’s say the runner has to complete a distance of 10 feet in two seconds. 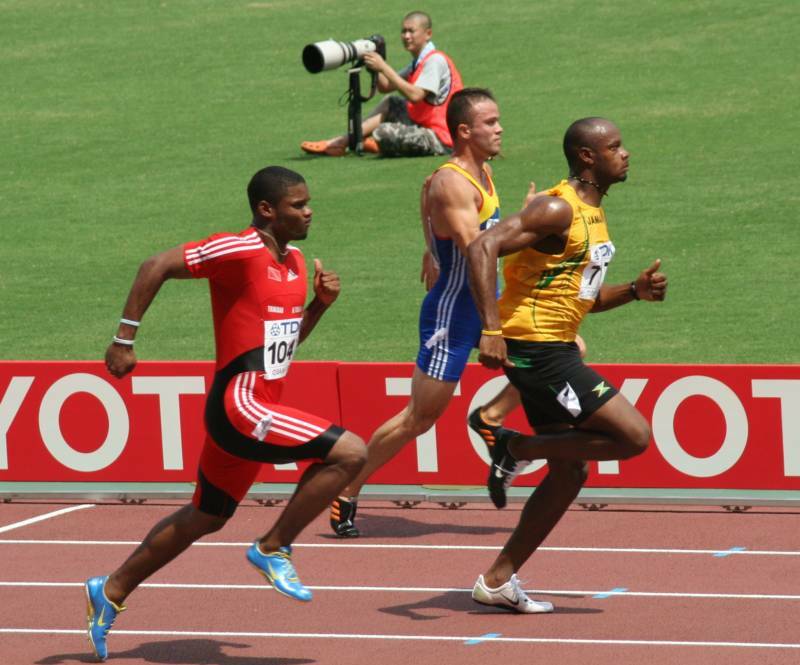 After 1/10 of second, the runner moves 5 feet. The next 1/10 of a second he traverses 2.5 feet, then 1.25 feet, then 0.625 feet, then 0.3125 feet until he can barely measure the distances he runs. However, he never reaches the finish line. This is the same premise of Achilles never beating the tortoise. Air Force photo/Christopher DeWittThis arrow will never move, according to Zeno’s warped sense of logic. Zeno’s Arrow paradox is a bit trickier to explain. 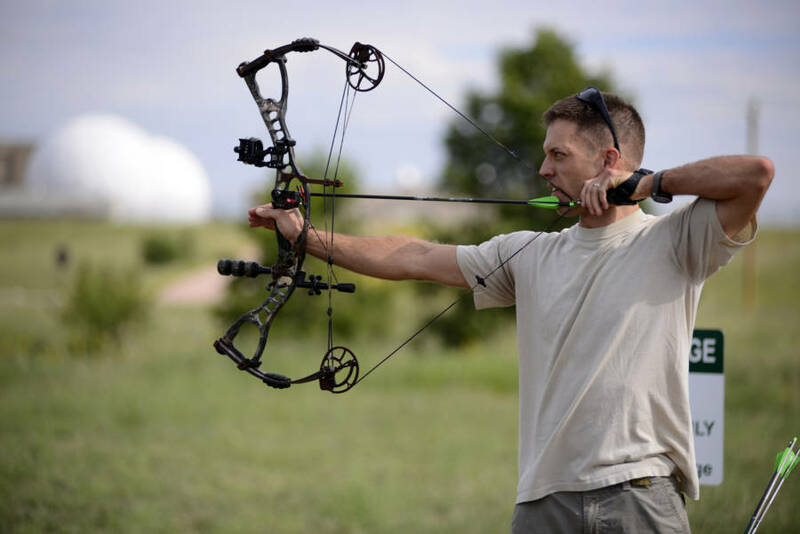 It hypothesizes that an arrow can only exist in one place (equal to the size of the arrow) at a particular moment in time. Because the arrow occupies one space in a particular moment (or instant), the arrow is not moving in that instant. Therefore, Zeno concludes, nothing is in motion since it is simply occupying a place. Rather than confounding our perception of space or distance (as in the tortoise race and the runner on the dichotomous race track), Zeno’s Arrow paradox attempts to make us think about very small and imperceptible units of time. Zeno tried to claim that time is broken down into moments. If humans can perceive a particular moment in time, then everything should stop until the next instant happens. As such, the arrow never really moves because it only occupies moments of time rather than spaces within time. Unfortunately, human brains have yet to reach a point where they can detect individual moments in time. People cannot break down time into an instant of perception during which the arrow occupies a space, followed by another space, and then another space, so on and so forth. Instead, linear time moves forward much like a car does as you commute to and from work while humans’ ability to perceive the surrounding environment lags a few milliseconds behind. Try Zeno’s paradoxes on your friends some time. Just make sure they can handle a head-scratching riddle or two first. Otherwise, you might annoy your contemporaries in much the same way Zeno of Elea did 2,500 years ago. After reading about Zeno and his paradoxes, check out another mind-bending theory called the Phantom Time Hypothesis, that claims that an entire period of history never happened. Then, check out this startup that claims it can upload your brain to the cloud.